Peak load demand is traditionally met with electricity from hydropower reservoirs or power plants burning fossil fuels. But as countries try to meet carbon emission targets, there is pressure to adopt solar and other renewable energy sources to meet demand. 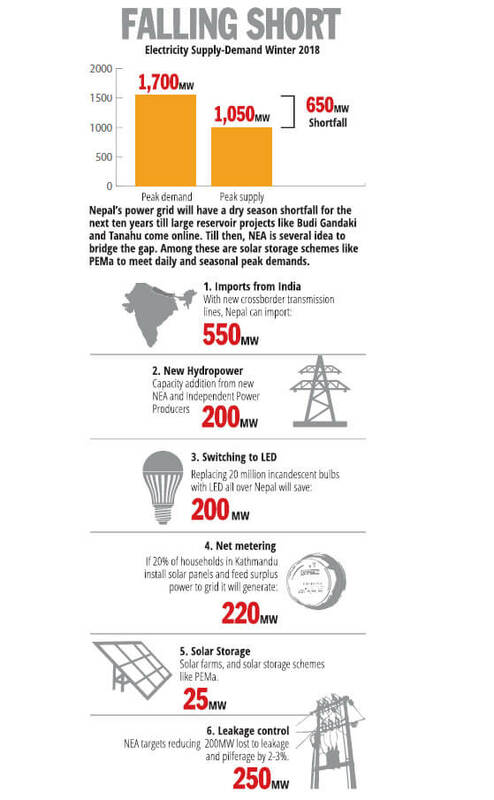 The other advantage is that a project of this scale can be up and running within two years compared to the decade that it will take for Nepal’s next big reservoir projects like Budi Gandaki and Tanahu. Solar is also much more ecologically benign. There is also a neat fit: Nepal’s peak demand is in winter when solar generation is highest because of cloudless skies.